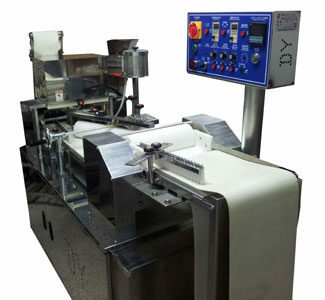 ALLAN’s unique continuous fryer designs help you produce the products of the best quality. 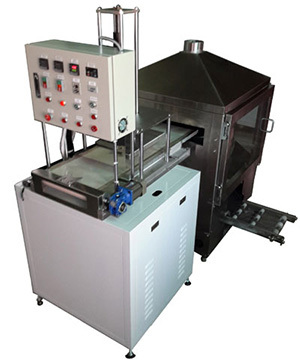 Continuous oil circulation through the fryer, filter and heat exchanger provides the precise control of temperature and quick adjustment while changing the amount of the products. creating back eddies or undercurrents. Superior oil quality, Low oil volume and rapid oil circulation assure the freshness of the product with a long shelf life. 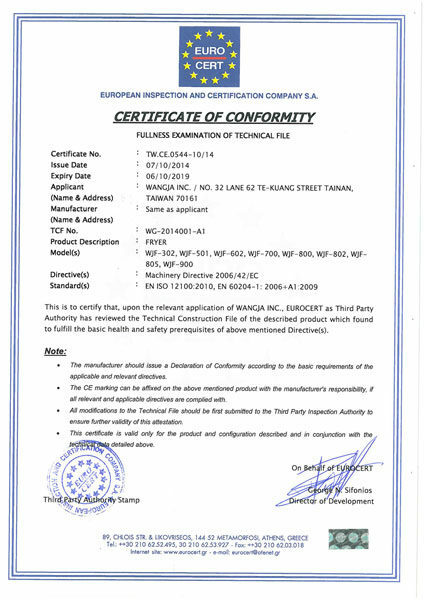 Oil level is maintained automatically. help clean all oil circulating areas. 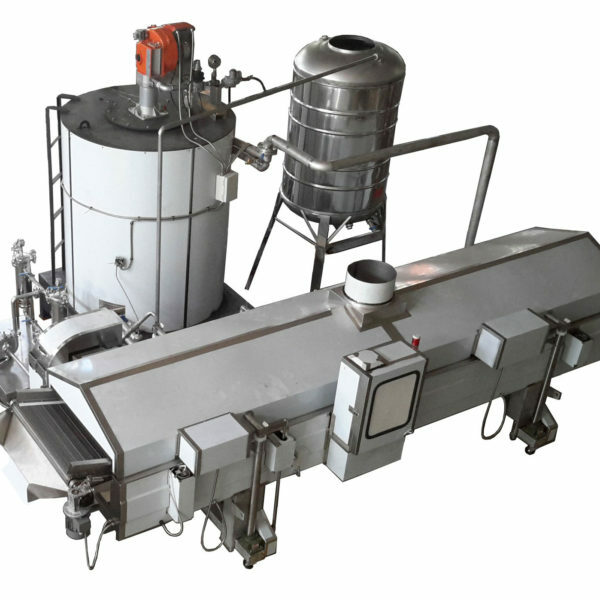 Circulating cleaning system circulates the cleaning water and Sodium bicarbonate following the same path as cooking oil, thoroughly cleans and sanitizes all areas. 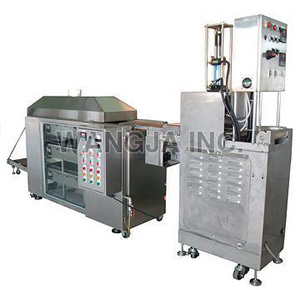 Self-locking motorized screw jacks raise the hood, paddles, and submerge conveyor, giving the complete access to the frying bed. Friendly design for easy operate and maintenance. Pressure switch to check frying oil pressure inside the piping. Emergency STOP button on both sides for safety operation. 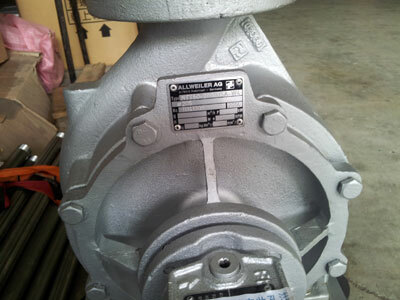 AII motors are provided with overload protector for safety operation. PLC touch panel. Use water proof control box to protect electric components. 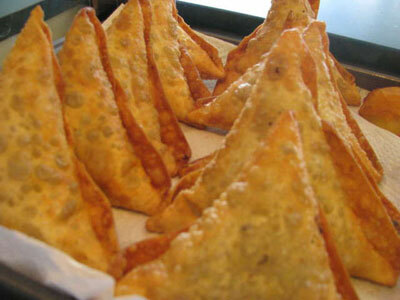 Oil can be screened continuously, food won’t be stained. 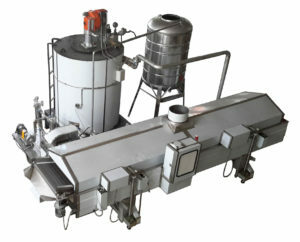 Automatic control to quantity of oil, together with spare of oil supplying tank. 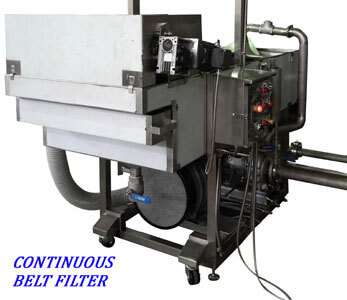 Conveyor can be rise and fall for easily clean. 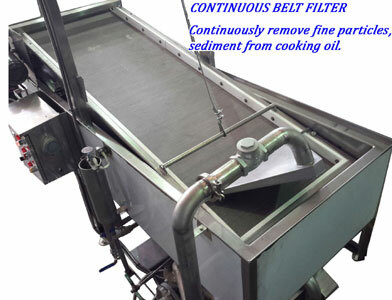 Special design to oil soot collecting, filthy oil will not seep through back. Oil temperature and flow speed can be certainly controlled. Frying time can be adjustment. Indirect heated, quality of food is stable, so food shelf-life can be extended. Fuel can be chosen as: diesel, heavy oil or gas. 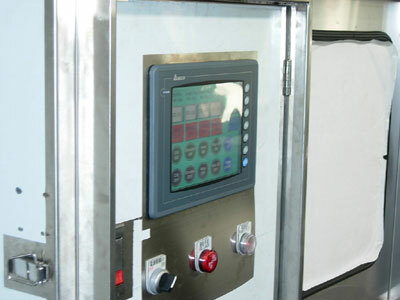 Automatic fire lighting, keeps detect system the oil pressure, and secure safety of operators. Whole machine is made by stainless steel. External heat exchanger energy up to 1,200,000 KCAL per hour.